For your more common waste fluid management applications, choose from our 30, 68 and 75-L upright rolling oil drains. 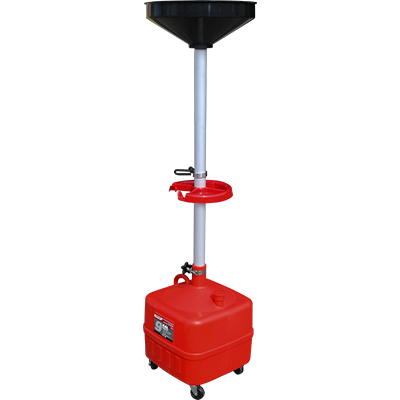 These convenient waste oil tanks feature a stable base, high-quality ball bearing casters, top-of-the-line materials and superior design to resist dents, rust and damage from otherwise corrosive fluids. 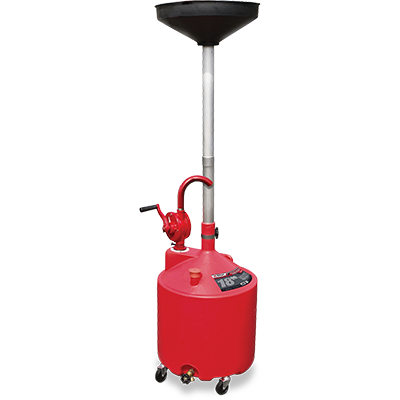 This upright 34 L (9-gal) capacity oil drain features a wide-body structure comprised of heavy-duty, translucent polyethylene, providing years of worry-free use. This upright 68 L (18-gal) capacity oil drain features a stable body made out of heavy-duty translucent polyethylene that lasts for years on end. Comes with convenient hand pump. If you're servicing a truck or RV, you may require something a little different to manage your waste fluids and used oils. 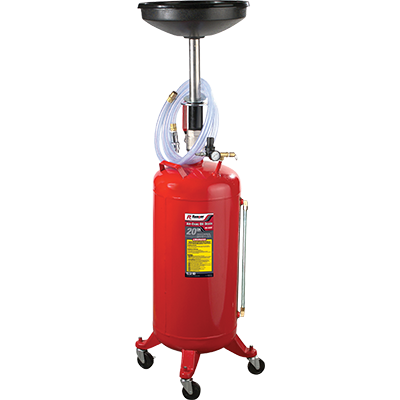 For your heavy-duty applications, consider the Ranger RD-15 portable oil drain. 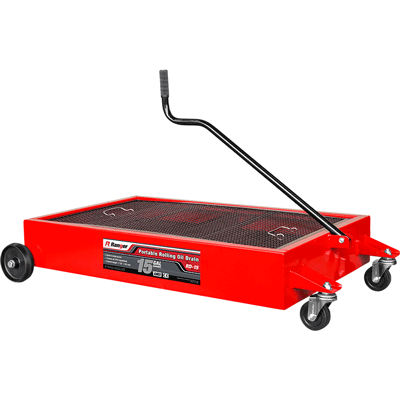 This low-profile oil drain is a wagon-style oil drain with a ​57-L capacity. As with all Ranger products, each of these oil drains is made from the finest materials and is intended to be heavily used for a very long time. Too often, oil drains are the overlooked weapon in your shop's waste management arsenal... with disastrous results. Choosing quality Ranger oil drain products means never having to worry about waste fluid again.